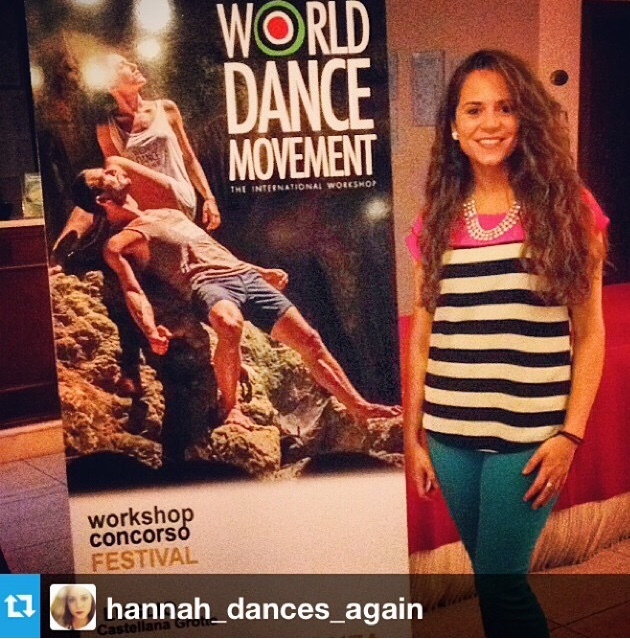 We spent three fantastic weeks at World Dance Movement Italy 2015 and we can’t wait to be there again! Until then, let’s reminisce about those beautiful moments with our World Dance Movement video recaps! For those who didn’t join us this past edition, check out what to expect next summer. We hope to see you all at WDM Italy 2016! So what are you waiting for? Start planning your next World Dance Movement Italy trip at WDMItaly.com and join us for one, two or three weeks of inspiring dance classes, dance scholarship opportunities, fun, sightseeing and much much more. We had the pleasure to interview Shayla Bott, an assistant professor in the Department of Dance at Brigham Young University who accompanied 20 of their students on their adventure at World Dance Movement Italy this past summer. WDM: Why did your BYU group decide to participate in WDM Italy? Shayla: We were already in Italy for a Dance Study Abroad and saw the amazing faculty and opportunities that were a part of WDM and decided to take advantage of it. WDM: As a dance professional what was your experience at WDM Italy? Shayla: The classes that the students took were high quality. I felt an emphasis from the faculty in actually instructing and teaching rather than in just giving class, which can be common when working with students on such a short term basis. The students’ got individual attention even in large classes and were able to show what they had learned in the performances in the piazza at the end of each week. That was a highlight for the students. They enjoyed performing for the locals in such a beautiful setting. The competition was a great element as well. 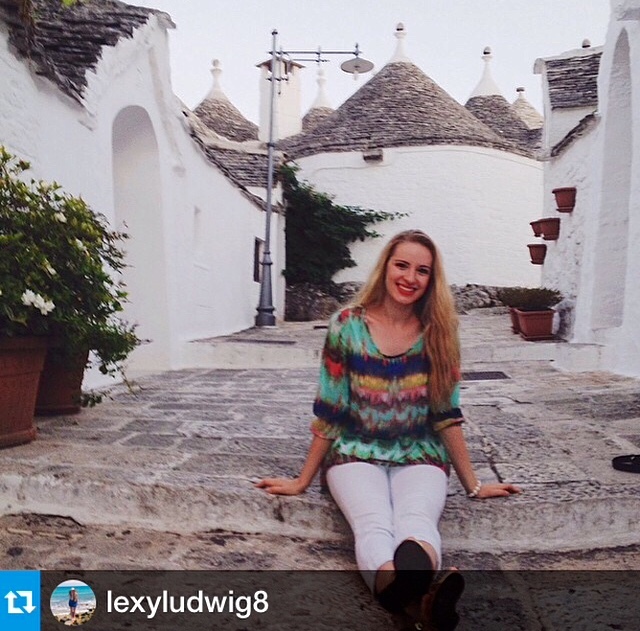 WDM: How did your students benefit from coming to WDM Italy? Shayla: The students were able to gain a more global perspective on how dancers around the world are training and how to be relevant in the international dance scene. They were able to network, receive a lot of great scholarships, perform and learn every day they were there. WDM: If you had to describe WDM Italy to someone who has never heard about it, what would you say? 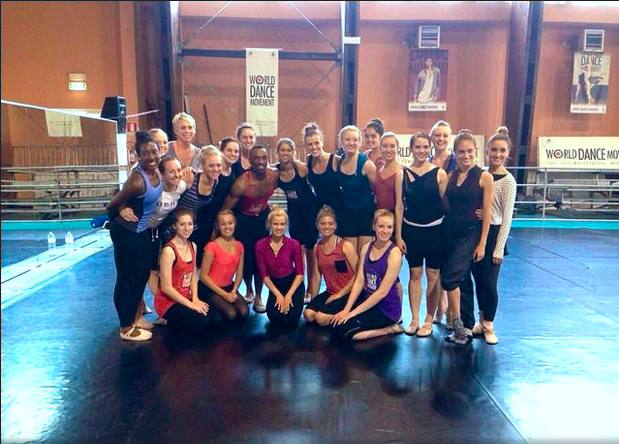 Shayla: WDM is a meeting of great dance minds and movers from literally all over the globe. Fabulously curated faculty are at the heart of what makes WDM such a great experience. In addition to taking classes, the students perform at the end of each week and have the opportunity to be awarded a lot of scholarship monies to major dance programs. It is a wonderful experience for those dancers who are about to branch out into a professional career to start getting a feel for what is going on in the world of dance at an international level. WDM: How different is WDM Italy compared to dance conventions in USA? Shayla: BYU loved being able to dance alongside dancers from all over the world. Our students commented a lot on how dance is a universal language, no matter if the teacher was speaking in English, Italian, Russian, French, or a combination. The social activities for the students also gave them a platform to speak with each other about what is going on in the world of dance in their own countries. The organizers kept referring to those in attendance as being a part of the WDM family. Although the competition was fierce at WDM, I saw faculty go out of their way to help the young kids particularly feel comfortable, and still be pushed to learn and grow. It had an intimate feel as I felt there was an emphasis on learning each dancer individually, their strengths and weaknesses, their background and where they needed to go next to develop more fully as an artist. 6. Do you plan on attending more WDM events in the future? Abbiamo avuto il grande piacere di intervistare Shayla Bott, un’assistente nel Dipartimento di Danza presso la Brigham Young University che ha accompagnato 20 dei loro studenti al World Dance Movement Italia la scorsa estate. WDM: Perchè il gruppo della BYU ha deciso di partecipare al WDM Italia? Shayla: Eravamo già in Italia per un Programma di Danza all’Estero e avendo visto gli straordinari insegnanti e le opportunità offerte dal WDM non abbiamo potuto non approfittare della grande opportunità. WDM: Come professionista della danza quale è stata la tua esperienza al WDM Italia? Shayla: Le lezioni a cui le nostre studentesse hanno partecipato erano di grande qualità. Ho sentito una grande empatia da parte degli maestri nell’istruire ed insegnare invece che fare semplicemente lezione (una cosa che invece può succeedere facilmente quando si lavora con studenti solo per un breve periodo di tempo). Le ragazze hanno ricevuto un’attenzione individuale anche in classi numerose e hanno avuto la possibilità di mostrare quello che avevano imparato grazie agli spettacoli nella piazza alla fine di ogni settimana. Quello è stato un momento molto importante per tutte loro. Si sono divertite ad esibirsi per le persone del luogo in un ambientazione così suggestiva. Anche Il Concorso è stato molto bello. WDM: Di cosa hanno beneficiato gli studenti che sono venuti al WDM Italia? Shayla: Hanno avuto la possibilità di acquisire una prospettiva più globale su come i danzatori studiano in altre parti del mondo e su come avere rilevanza nel panorama della danza internazionale. Hanno avuto la possibilità di fare networking, ricevere tantissime borse di studio importanti, esibirsi ed imparare ogni giorno durante la loro permanenza. WDM: Se dovessi descrivere il WDM Italia a qualcuno che non ne ha mai sentito parlare cosa diresti? Shayla: WDM è il punto d’incontro di tanti talenti da letteralmente ogni parte del mondo. Lo straordinario corpo docente è l’essenza della fantastica esperienza al WDM. Oltre a fare lezione, gli studenti si esibiscono alla fine di ogni settimana e hanno l’opportunità di vincere tantissime borse di studio per prestigiosi programmi di danza. È un’esperienza strepitosa per i danzatori che stanno iniziando i loro primi passi nel mondo professionale per gli permette di farsi un’idea su cosa accade nel mondo della danza a livello internazionale. WDM: Cosa differenzia il WDM Italia dagli eventi negli USA? Shayla: Alla BYU amiamo danzare insieme a ballerini da tutto il mondo. Le nostre ragazze hanno parlato moltissimo del fatto che la danza è un linguaggio universale; non importa se l’insegnante parlasse inglese, italiano, russo, francese o un mix. Le varie attività sociali inoltre gli hanno fornito l’opportunità di confrontarsi con altri studenti ed insegnanti riguardo a quello che accade nel mondo della danza in altri paesi. Gli organizattori del WDM parlavano dei partecipanti all’evento come parte della Famiglia del WDM. Sebbene una sana competizione fosse presente, ho notato che gli insengnati si impegnavano sempre tantissimo per aiutare gli studenti più giovani per renderli più a loro agio, ma sempre spingendoli ad imparare e crescere. L’ambiente era intimo e c’era attenzione all’apprendimento da parte di ogni singolo allievo con un focus ai loro punti di forza, debolezze, il loro background e cosa avevano bisogno di fare per svilupparsi più pienamente come artisti. 6. Avete in programma di tornare ad un evento del WDM in futuro? Crowdfunding – A way to make your World Dance Movement dream a reality! We often hear of young dancers longing to participate in World Dance Movement – The International Workshop, who find it difficult due to financial reasons. Because of this, we decide to write an article to provide you with a few personal fundraising solutions that can hopefully get you one step closer to joining us at our WDM 2014 dance events. You have probably already heard about Crowdfunding Websites. These websites allow you to collect donations from friends, family as well as people you don’t know through the page you set up. However the ones we will mention here are slightly different from other crowdfunding websites such as Kickstarter because they give you the possibility to raise money for personal causes, not only business projects. There is a pretty good variety of platforms to choose from and below you will find a list of some of the ones you may use. But before you begin fundraising, there are some important questions you need to ask yourself. Do I want to raise money only for myself or for a group of dancers at my dance studio? When do I need these funds to be available? Who can I ask to help me reach my goals? After answering these questions, you can decide which crowdfunding platform to choose based on your needs and goals. Crowfunding can be used by one dancer as well as a group of dancers who would like to raise money to participate in World Dance Movement – The International Workshop (for WDM fees and/or travel and hotel expenses). Maybe you could ask your dance studio to to get involved to help you raise money. 1. GoFundMe – This is a website that allows people to set up personal accounts to collect donations in just 3 easy steps. You set up your account, share it with friends, and begin collecting! GoFundMe collects a 5% fee for every donation you receive. It can be use by both US and International citizens. 2. Indiegogo – This platform is not only for the arts, but for all types of projects. You sent up an online bank account and can choose to make it an all-or-nothing approach, or a flexible finding approach. The percentage taken by Indiegogo for its services depends on these approaches. There is a fee on any money that is raised, which is 4% of the money you raise if you meet your goal or 9% if you do not meet your goal. Indiegogo can be use by both US and International citizens. 3. YouCaring – Similar to gofundme, YouCaring.com is an easy, FREE online platform created for people to fundraise for something they are passionate about. You simply create your personal fundraising page, alert your friends and family about it, and then you can track the donations you receive. YouCaring can be use by both US and International citizens. 4. CrowdTilt – This is an exciting website that goes about fundraising a little differently. When you start a campaign with CrowdTilt, you set an initial monetary goal called your tilt amount; the smallest amount your group has to raise to put the project into action. During your CrowdTilt campaign, contributors work together to reach the tilt amount—and when it is reached, it is the moment when you know your objective will take place. There is no fee to start a campaign on CrowdTilt. If a campaign is successful, a 2.5% CrowdTilt fee is taken from the funds raised. CrowdTilt can be use by both US and International citizens. When using these platforms, remember to keep a few things in mind. Make your goal realistic! Especially with the all-or-nothing platform, you want to make sure you guarantee yourself the funds you need. Do not be afraid of social media! Your friends, family, and members of the dance community can’t help you if they don’t know about your project! Use social media to remind people that you need their help and ask them to share your post with their friends to create a viral effect. Make your story personal: – Show pictures of you or the group of dancers who would like participate in WDM. – Create a short video explaining why you or your group wants to go to WDM. – Make sure to provide people with information about World Dance Movement, so that they know what they are giving you their money for. Hopefully these are some helpful tips for you to get started on raising money to come join us at World Dance Movement – The International Workshop. Reach out to as many people as possible and show them how much this is important for you! WDM will soon become a reality! Ci capita spesso di parlare con giovani ballerini che desiderano partecipare al World Dance Movement – The International Workshop ma che hanno difficoltà economiche. Per questo abbiamo deciso di scrivere un articolo per segnalarvi alcune risorse per autofinanziarvi che, speriamo, vi possano aiutare a partecipare ai nostri eventi del 2014. Avrete probabilmente già sentito parlare dei siti di Crowfunding: questi siti danno la possibilità di accettare donazioni da amici, famigliari ed anche persone che non si conoscono attraverso la pagina creata. I siti che stiamo per elencare, tuttavia, sono leggermente diversi dagli altri siti di crowfunding che forse già conoscete, come Kickstarter, perché danno la possibilità di raccogliere denaro per cause personali, non solo progetti imprenditoriali. Esiste una buona varietà di piattaforme tra cui è possibile scegliere e qui di seguito vi presentiamo una lista di alcune di quelle più note. Prima di iniziare la tua raccolta fondi però, ci sono delle domande che dovete porvi. Voglio raccogliere soldi solo per me stesso o per un gruppo di studenti della mia scuola di danza? Di quanti soldi ho bisogno per coprire tutti i costi? – ricordatevi che tutti i siti di crowfunding trattengono una percentuale per ogni donazione, oltre a quella delle carte di credito. Si arriva quindi ad una percentuale che può’ raggiungere l’8-9% in base alla piattaforma che si sceglie. Quanto ho bisogno di avere a disposizione i soldi? A chi posso chiedere aiuto per raggiungere il mio obiettivo? Dopo aver risposto a queste domande, potete decidere quale piattaforma utilizzare in base alle vostre necessità. Questi siti possono essere utilizzati da un singolo ballerino o anche da un gruppo di ballerini che vogliono raccogliere fondi per partecipare al World Dance Movement – The International Workshop (per la quota di partecipazione e/o spese di vitto e alloggio). Potete provare a chiedere alla vostra scuola di danza di partecipare per aiutarvi a raccoglierei fondi. 1. GoFundMe – questo è un sito che permette alle persone di creare il proprio account personale per raccogliere donazioni in 3 semplici passaggi: crei il tuo account, lo condividi con i tuoi amici e inizi a raccogliere fondi! GoFundMe trattiene il 5% per ogni donazione che ricevi e può essere utilizzato a livello internazionale. 2. Indiegogo – questa piattaforma non è solo per le arti, ma per tutti i tipi di progetti. Crei un account online, lo colleghi al tuo conto bancario e poi per la raccolta fondi puoi scegliere tra un approccio tutto-o-niente, od uno più flessibile. La percentuale trattenuta da Indiegogo per questi servizi dipende dal l’approccio scelto. C’è una tassa su tutti i fondi raccolti che equivale al 4% se raggiungi i tuoi obiettivi o il 9% se non li raggiungi. Anche Indiegogo può essere usato a livello internazionale. 3. YouCaring – simile a GoFundMe è una piattaforma online GRATUITA creata per persone che vogliono finanziare quello di cui sono appassionate. Basta creare la propria pagina per la raccolta fondi ed invitare i propri amici e familiari a spargere la voce e contribuire. 4. CrowdTilt – questo è un sito di Fundraising un po’ diverso dagli altri. Quando inizi una campagna con Crowdtilt, inserisci un obiettivo monetario iniziale chiamato “tilt amount” (il minimo ammontare di cui hai bisogno per far partire il progetto). Durante la tua campagna Crowdtilt, le persone lavorano insieme per raggiungere il tilt amount, e quando viene raggiunto è il momento che saprai che il tuo progetto potrà partire. Non c’è una spesa iniziale da pagare per creare la campagna su Crowdtilt, se una campagna ha successo il sito tratterà il 2,5% dai fondi raccolti. Imposta degli obiettivi realistici! Soprattutto con le piattaforme tutto-o-niente, devi essere sicuro di poter raccogliere tutti i fondi di cui hai bisogno. Non farti spaventare dai social media! I tuoi amici, la tua famiglia e i membri della comunità di ballerini di cui fai parte possono aiutarti solo se vengono a conoscenza del tuo progetto. Usa i social mèdia per ricordare alle persone che hai bisogno del loro aiuto e chiedigli di condividere il tuo post con i loro amici per creare un effetto virale. Racconta la tua storia personale: – mostra foto di te o del gruppo di ballerini che vuole partecipare al WDM – create un breve video spiegando perché vuoi/volete partecipare al WDM – dai alle persone informazioni sul WDM così che possano sapere per che cosa verrano utilizzati i soldi donati. Speriamo che queste siano state delle informazioni utili per iniziare a raccogliere fondi per partecipare al World Dance Movement – The International Workshop. Mettete insieme più persone possibile e mostrate quanto tutto questo è importante per voi! WDM diventerà presto una realtà! Il racconto del Sig. Nicola Pagano, ormai diventato un grandissimo fan e sostenitore del World Dance Movement, ci ha emozionato moltissimo e abbiamo voluto condividerlo con tutti voi. PS: Lasciate un commento qui sotto raccontandoci cosa rappresenta il WDM per voi. Nicola Pagano: Il mio incontro con la Danza è stato quasi fortuito. Parlo non di un incontro qualsiasi, ma di quelli che ti cambiano la vita. La scintilla scoccò in occasione della 4^ edizione del workshop international World Dance Movement, tenuto a Castellana Grotte BA nel luglio 2012. Incrociai questo Evento una luminosa mattina d’estate, mentre passeggiavo nelle vicinanze della scuola di Danza “Artinscena” di Annalisa Bellini (partner italiano del WDM). La mia attenzione fu attratta dal cartellone che pubblicizzava l’Evento e da un insolito andirivieni di giovani. Spinto da innata curiosità per le novità, entrai, non fosse altro che per un saluto ad Annalisa, che conosco e apprezzo. In anni ormai lontani abbiamo collaborato nell’allestimento di alcuni spettacoli teatrali del genere music-hall, con la partecipazione di ballerini della sua scuola di Danza. Ritornai nei giorni successivi e fu attrazione fatale. Il workshop si articolava in tre stage, di una settimana ciascuno, che si concludeva con un Gala nel corso del quale venivano consegnate Borse di studio, per un totale di 30, agli allievi più meritevoli. Avevo preso contatto con un mondo affascinante e ne ero rimasto conquistato. Quando si spensero le luci della ribalta, pubblicai un articolo che mi procurò molti apprezzamenti e qualche gradito ringraziamento. Soprattutto ero gratificato e consapevole di aver scoperto un mondo che nella sua intrinseca essenza è bellezza, eleganza di movimenti, gestualità espressiva, tecnica raffinata; ma al tempo stesso si alimenta di assiduo lavoro, sudore, impegno, passione, amore per l’Arte. La conoscenza di Michèle Assaf, Direttore artistico di WDM., che impersona tutto ciò in modo mirabile, è la conferma che la Danza mi ha schiuso un mondo che merita di essere vissuto. Questo l’antefatto, che nel tempo ha avuto sviluppi successivi. Mi sono iscritto al Corso di Storia della Danza presso la Facoltà DAMS (Danza, Arte, Musica, Spettacolo) dell’Università statale Roma Tre, che ho frequentato, sostenendo l’esame finale col massimo dei voti. I coniugi Annalisa Bellini e Mimmo Daoli mi onorano della loro cordiale amicizia, che ricambio, unitamente ad una operosa, entusiastica collaborazione. La 5^ edizione di W.D.M. si terrà a Castellana Grotte dal 7 al 28 luglio. L’appuntamento è per luglio prossimo venturo. Obiettivo, per il quale sta lavorando lo Staff. Artistico e Organizzativo, è l’allestimento di un Evento sontuoso, all’altezza delle migliori aspettative. PER MAGGIORI INFORMAZIONI SUL WDM ITALIA CLICCA QUI. PER MAGGIORI INFORMAZIONI SUL CONCORSO INTERNAZIONALE DI DANZA DEL WDM CLICCA QUI. 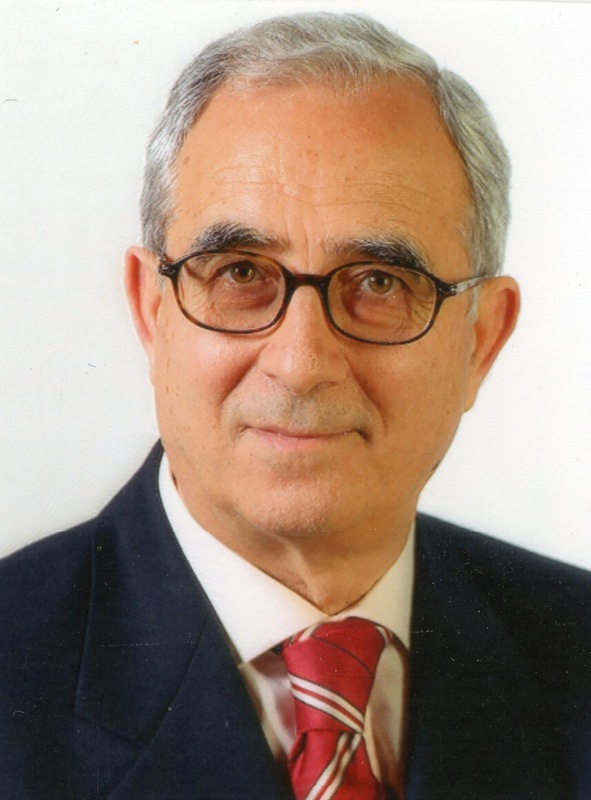 Mr. Nicola Pagano’s story has really touched our hearts and so we decided to share it with all of you. Please feel free to leave a comment below telling us what WDM represents for you. Nicola Pagano: My encounter with Dance has been almost fortuitous. I’m not talking about a random encounter but about one of those are life changing. Everything started last July, during the 4th edition of World Dance Movement Italy, in Castellana Grotte. I found out about WDM in a bright summer morning while I was taking a walk by Annalisa Bellini’s dance studio (WDM’s local partner). My attention was captured by a big banner that advertised World Dance Movement and by a big group of young people. Pushed by innate curiosity for new things or even just to say hi to Annalisa who I know and appreciate, the next day I went back and it was love at first site. I found out that World Dance Movement was a 3-week event and at the end of each week there was a Gala performance. During the gala performances several scholarships were awarded to 30 of the best students. I met the dance world by chance and I realized I was now fascinated by it. When World Dance Movement ended I wrote an article about the event that was highly appreciated but above all I was happy to have discovered a new world. A world with its intrinsic beauty, elegance of its movement, gestural art and refined technique that lives thanks to the constant and hard work, sweat, passion and love for Art. The meeting with Michèle Assaf , WDM artistic director, who personifies all this in an admirable way, confirms that Dance showed me a world that was worth to be discovered and lived. The encounter with World Dance Movement had interesting developments…I enrolled in dance history course Rome 3 University. I took all the classes and passed the final test with honors. I’m a good friend of Ananlisa Bellini and Domenico Daoli who are WDM Italian partner and I’m glad to collaborate with them. The 5th edition of WDM is this July 7-28 with a brand new international competition (July 13, 14, 21) we are all looking forward to. The entire staff is working hard to put together a fantastic event that won’t leave you disappointed. FOR MORE INFO ABOUT WDM ITALY CLICK HERE. FOR MORE INFO ABOUT WDM INTERNATIONAL COMPETITION CLICK HERE. Ecco la nostra nuova bellissima intervista fatta agli insegnanti del World Dance Movement, Federica Angelozzi e Sabatino D’Eustacchio. Federica, cosa ha rappresento il World Dance Movement per te come insegnante di danza ed artista? Sabatino, quali opportunità ti ha offerto il World Dance Movement? Federica, cosa differenzia il WDM da altri stage italiani? e si è subito pronti ad aspettare e desiderare l’anno successivo. Finalmente il WDM sta crescendo e ci sono varie tappe in giro per il mondo, così da non dover attendere un anno intero! Federica e Sabatino, siete contenti del nuovo concorso internazionale di danza del WDM? Cosa vi aspettate? Federica e Sabatino, come descrivereste gli insegnanti, le lezioni, e gli studenti del WDM? Federica e Sabatino: Un’ unica parola può racchiudere la qualità e il livello che caratterizza lo staff, insegnati, le lezioni e gli studenti: UNICI. Per maggiori informazioni su World Dance Movement – The International Workshop potete visitare il nostro sito. Here is our new beautiful interview with World Dance Movement faculty members Federica Angelozzi and Sabatino D’Eustacchio. 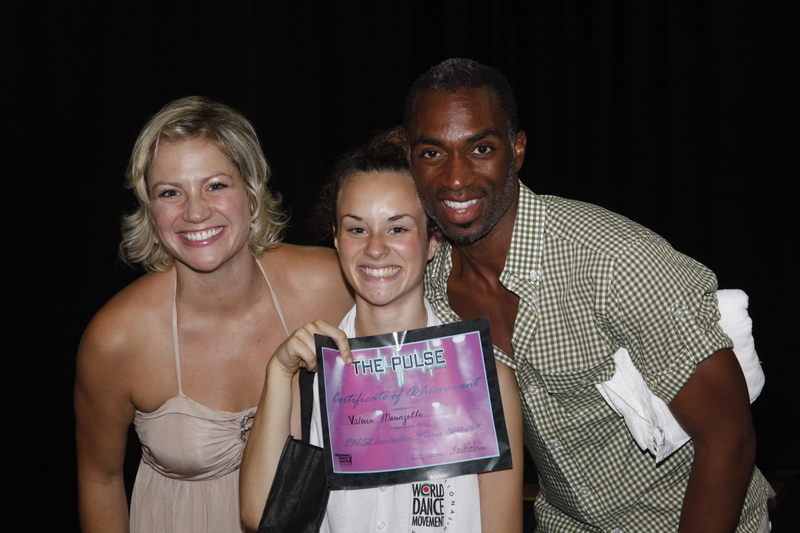 Federica, what has World Dance Movement represented for you as a dance teacher and an artist? 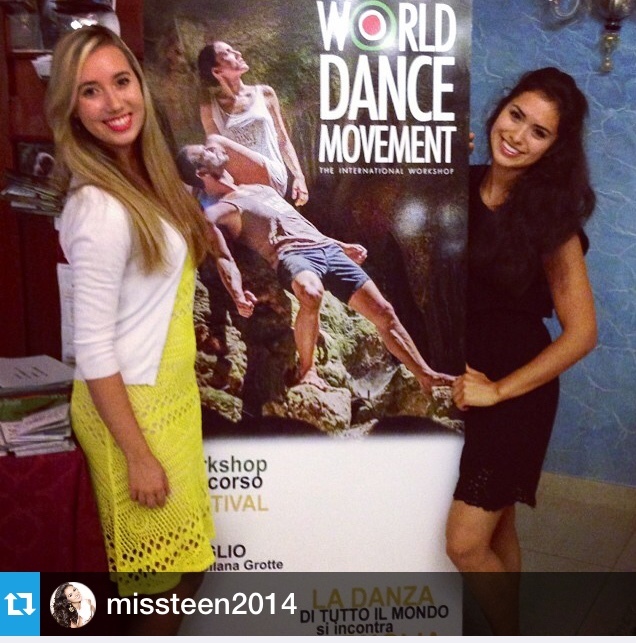 Federica: It’s a big honor for me to be able to teach my personal expression of dance at World Dance Movement. It doesn’t happen every day that you are able to interact, get to know and work with dancers from all over the World. Thanks to Michèle Assaf, this is possible and I guarantee you it’s a unique experience. For Sabatino and I, WDM is a pure professional outlet. An inspiration source that gives you the possibility to study with some of the best international dance teachers in the industry. Sabatino, what kind of opportunities has World Dance Movement offered you? Sabatino: World Dance Movement has been our best opportunity. When I met Michèle, I immediately realized that she didn’t care how famous we were or how many dancers our names could bring to the event. She cared about our professionalism and our choreographic language and that’s how WDM has become my second family. Throughout the years, this event has become the favorite of dancers coming from all over the world. Federica, what makes World Dance Movement different from other dance workshops in Italy? WDM is not a workshop, this is the difference! WDM is a family! It greets you, it helps you to grow and mature both at a professional and personal level. It creates a human contact between the teacher and the student, and it gives you the possibility to live your passion for dance 24/7 – that’s what connects all the people who come to WDM. We are talking about real personal relationships, beautiful dance classes and choreography, shows, laughs and serenity. Those who come to WDM know very well that when the last day arrives, everyone is sad to leave. You are immediately ready to wait for and desire the following year. We are so happy WDM is growing, and that there are other events around the world so WDM dancers don’t have to wait a full year! Federica and Sabatino, are you excited about the new WDM competition this year? Federica and Sabatino, how would you describe the faculty, classes, students at WDM? Only one word can describe the quality and the level that characterize WDM staff, faculty, classes and students: UNIQUE. As we said before, we are talking about a very high level of professionalism that manifests at 360 degrees. Imagine studying with choreographers that you’ve been dreaming about for a lifetime, and have the possibility to perform their pieces at the end of the event. This is a dream dancers can’t miss!!! For more info about World Dance Movement – The International Workshop, please visit our website.